Is Maryland the Wild Wild West of U.S. casino gambling? At least one of the state’s casinos thinks so. Under a piece of legislation introduced on Friday, the state’s six casinos would be rewarded with criminal statutes specific to cheating at live-dealer table games. Currently, the state’s casinos can evict and ban a suspected cheater, but aside from potentially applying the law on the books related to theft generally, there’s nothing the casinos can do to set up a deterrent for common cheating tactics at the tables. That was the argument behind a previous version of the bill, which was pitched during an April 2018 hearing. The 2019 legislation, House Bill 1036, is sponsored by Maryland Delegates Jazz Lewis, Wanika Fisher, Andrea Fletcher Harrison, Julian Ivey, and Michael Jackson. All of those lawmakers come from Prince George’s County, home to the MGM National Harbor casino. The MGM property is the top casino in the state in terms of gaming revenues. The 2018 version, House Bill 1806, had a single sponsor and didn’t make any progress in the way of votes. There was a companion measure in the Senate that also didn’t gain any traction last year. MGM is lobbying hard for the legislation this time around. The proposal is also publicly backed by Horseshoe Casino Baltimore, a Caesars Entertainment property. HB 1036 sits with the House Ways and Means committee, the same group of lawmakers that held the meeting on the proposal in 2018. The bill’s first hearing this session is scheduled for Mar. 1 in Annapolis. The potential penalties can be severe. For example, upon conviction of cheating related to an aggregate amount less than $100, a casino cheat could spend up to three months in jail and pay a small fine. A person caught cheating a casino out of more than $1,500 (but less than $25,000) could be charged with a felony, punishable by up to five years in prison and/or a fine of $10,000. A cheat would also have to pay the money back. The burden of proof to determine the intent of the suspected cheating would be with the state of Maryland. At the hearing, MGM National Harbor’s director of surveillance told policymakers why the legislation was needed. “We’re essentially just evicting them [casino cheats] and if they come back we can cite them for trespassing, but if they come back and don’t provide ID or bring someone else’s ID, we’re counting on my team to recognize all the people who we have caught cheating,” he said. 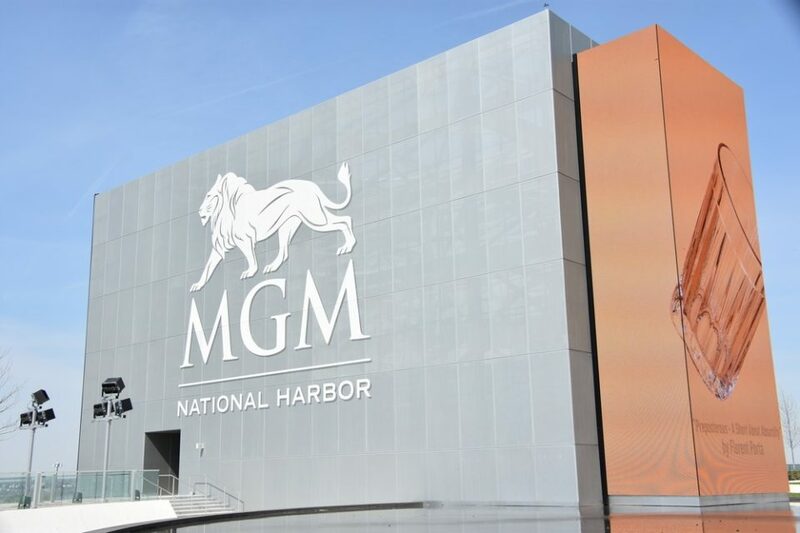 According to his testimony, MGM National Harbor caught 172 cheaters in 2017, and he ballparked the casino’s success rate at catching cheating incidents at 25%. A whopping 63% of cheating that happens at MGM casinos nationwide takes place at the Prince George’s County casino, according to the director of surveillance. The vice president of government affairs for MGM National Harbor was also at the hearing, assuring state lawmakers that the company was simply trying to make the law consistent with other casino states, but also with Maryland law pertaining to theft. “You don’t want Maryland to be the target, the place that’s a little weaker and where people come to target our casinos specifically,” he added. He said that the language of the bill came from states where MGM has casinos. There was some concern that the 2018 legislation was poorly written, with nothing in the way of defining all the specific cheating techniques. The 2019 version provides basic definitions. There were also questions last year with regard to making it a crime to remove a credit from a slot machine. The intention of the law is to prevent people from going around the casino floor looking for abandoned slot credits, MGM said, rather than to penalize someone who sits down at a machine and gambles with the money that a previous gambler forgot to leave with. Another lawmaker wondered if the law would be problematic for the state’s problem gamblers. Maryland is considered one of the most progressive in the country for problem gambling. As with anything, the ideal scenario is to prevent the incident from occurring, rather than punishing after the fact. Despite the concerns, the legislation is good public policy if unscrupulous gamblers are slowly realizing that the state of Maryland is a mark. Maryland has had table games since 2013.